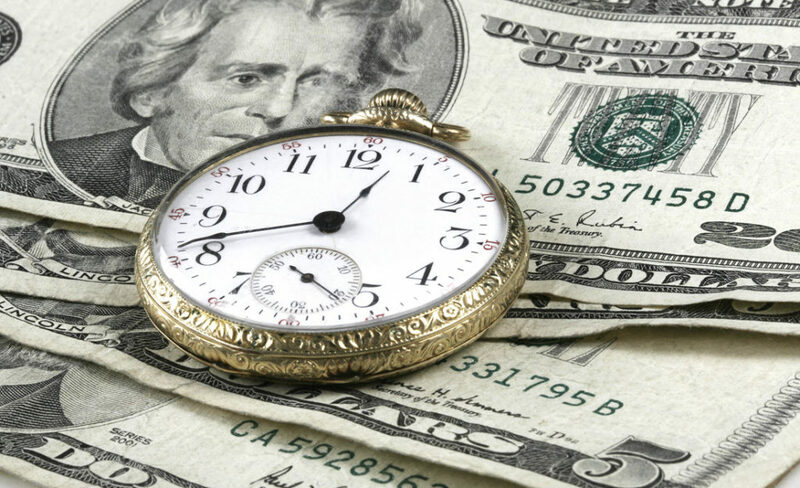 Recently, a client asked if it is possible to set up payroll direct deposit for an employee where the employee requested that a portion of their net pay be deposited into one account and the remaining balance be deposited into another account. 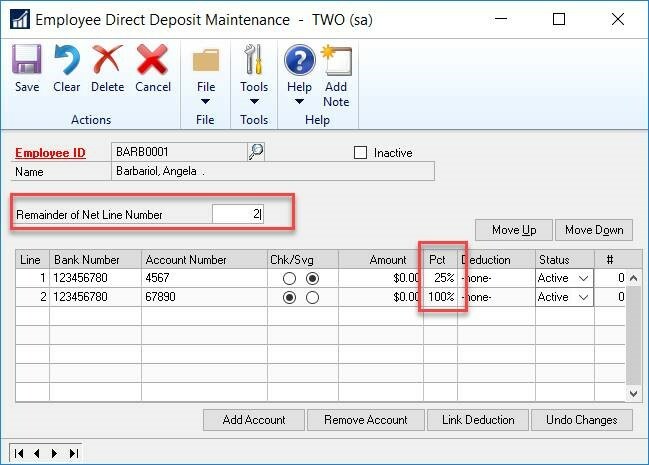 With Microsoft Dynamics GP, you can enter percentages for the direct deposit amounts, but they are entered a bit differently than you might anticipate. Whatever account is to receive the remaining balance should be entered as 100%. Let’s say you have an employee who requests that 25% be deposited into Account 1 and 75% be deposited into Account 2. 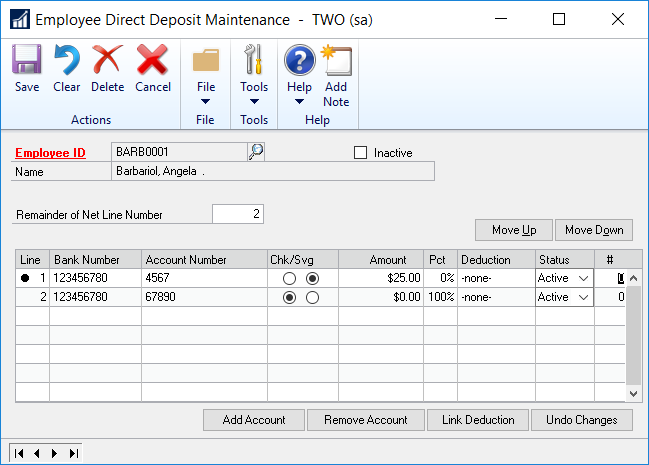 You need to enter the 25% value into Account 1 as the first row in the Direct Deposit Entry (Cards > Payroll > Direct Deposit). Intuitively, it would seem like the remaining percentage should be 75%. However, in the second row, you enter 100% to Account 2. This is because you are depositing the balance of the employee’s net pay into that account. Be sure that the Remainder of Net Line Number is the last line (the one that has 100% in it). 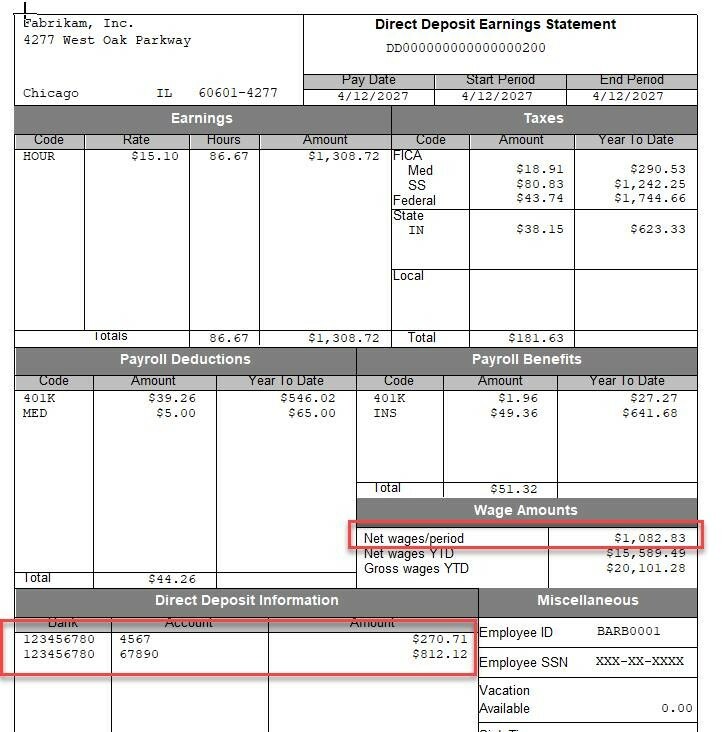 So, in this example, the total net pay is $1,082.83. 25% of $1,082.83 = $270.71, will go into the 1st account; the remaining balance of $812.12 will go into the 2nd account. The setup is similar if an employee requests to have a dollar amount be deposited to one account and the balance of their pay be deposited in a different account. For example, the employee requests $25 be deposited into Account 1 and the balance of their net pay be deposited into Account 2. The entry will be similar; enter $25.00 in the amount field for Account 1, and then 100% in the percent (Pct) field for Account 2. As long as you keep that rule in mind, you’ll be able to split direct deposits between several accounts easily. If something still looks awry, contact us at support@crestwood.com. 6 Reasons to Switch to Office 365 Enterprise E3What’s in the October 2018 Dynamics 365 Update?